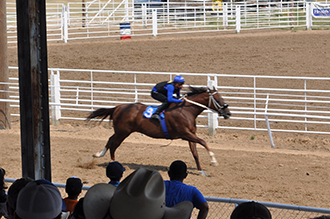 Munoz, 22, was severely injured during a horse race at the Kiowa County Fair Saturday. According to the family, the horse Munoz was riding threw him and he landed head-first. He was transported by air to Swedish Medical Center and, according to a Fox31 Denver report, later died from his injuries. The GoFundMe goal is $100,000 to assist with medical and funeral expenses. As of Wednesday evening, more than $18,000.